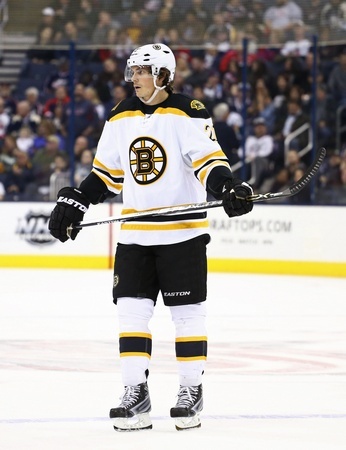 The Boston Bruins believe forward Loui Eriksson is too important to trade right now. The trade deadline came and went on Monday morning without much fanfare and general manager Don Sweeney didn’t move what many believed was the biggest player available, with the 30-year-old pending unrestricted free agent staying put in Beantown. The Bruins are making a play for the playoffs and they collected John-Michael Liles and Lee Stempniak at the deadline, but Eriksson remained in the fold. According to Sweeney, any potential deals fell short of the mark. Boston has been trying to sign Eriksson to a contract extension for some time now, but Sweeney admits there’s still a considerable gap between player and team. The Bruins want him to sign a four-year contract to the tune of around $20 million to $24 million, but Eriksson allegedly wants more term. The lack of movement on Monday suggests that contract negotiations will once again take a backseat as the club looks toward the post-season. As of press time, the Bruins are fourth in the Atlantic Division and just a point back of the Detroit Red Wings. To Sweeney’s credit, he was wise not to just rush Eriksson out the door if the available deals were lacking. Far too often, observers think NHL trades are made like they are in video games. But there are variables and factors involved that outsiders don’t see, even if it stings to have to watch Eriksson walk away from the team for nothing come summer. Whatever the future holds for the playoffs and beyond, the message the Bruins are sending right now is that they have their unit and they’re sticking to it. Eriksson is part of the post-season gamble and they’ve shown their faith in the Swedish winger. Now it’s time for him to respond on the ice. In 63 games with the Bruins this season, the Gothenburg native has 48 points including 23 goals. In 706 career games with the Bruins and Dallas Stars, Eriksson has 205 goals and 284 assists.